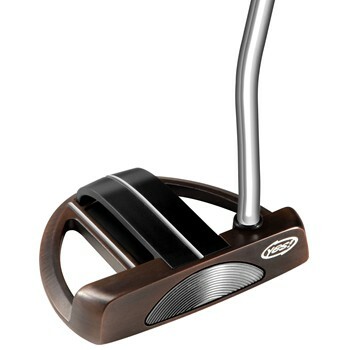 • Mallet-style face balanced putter with a Double bend shaft and a half shaft of offset. • Four-layer C-GROOVE insert that improves ball roll performance and consistency with a soft-responsive feel. • Tungsten weighting and perimeter weight distribution maximize stability. • Curved polymer alignment insert on the top of the putter allows a player to see if their eyes are over the line of the putt. • Antique PVD finish has a unique appearance. • Broomstick length shaft and heavier head weight than the standard version.